Daniel Jamnik - Rosenfield & Co. Upon obtaining a degree in Accounting from Stockton University, Dan started bookkeeping for an import/export company. 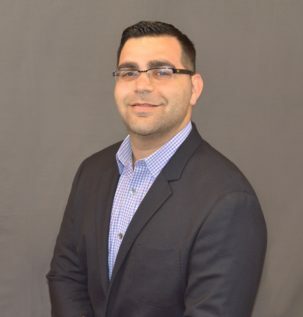 Looking to expand his experience into other industries, he joined KDMS, LLC under Paul Kaplan and Jan Dulman in early 2012. At KDMS, LLC, Dan focused primarily on tax preparation for the firm’s clients. Dan joined Paul and Jan when merging with Rosenfield and Company in early 2015 and has been an integral part of the firm’s Tax Services Team. In 2017 Dan took on the responsibility and interest in serving the firm’s Business Valuation and Litigation Support needs. He services clients in a variety of industries, and prides himself on providing personal attention to those he works alongside with. When Dan is not in the Rosenfield offices, he enjoys coaching his local High School soccer team, dreaming about the Jets having a successful NFL season and spending quality time with his daughter “CamJam”.